Many people ask me, how did I learn to spin so well. Truthfully, I've been lucky and unfortunate enough to not have classes available to me, either because I can't afford them or they are within a reasonable distance. Unfortunate, obviously, because there was no one to show me the baby steps when it comes to spinning. Lucky, because I have not been influenced by the way someone spins. I am purely self taught, and have evolved my own way to spinning. So, when it came to core-spinning, I loved the idea of wrapping fiber around something to give it a unique look that you can't do with traditional drawing. For me, I get more bang for my buck because I can use less fiber to get a lot of yardage. I recently received a swap package from a friend on Ravelry with big pieces of tinsel in it. Tinsel like what comes off the 1970's Christmas tree. I've spun ribbon and smaller Angelina into fiber before, so it wasn't anything new. I soon realized that the way I spin it in is different than the techniques I've seen others use. Better yet, here's a video of how it works. 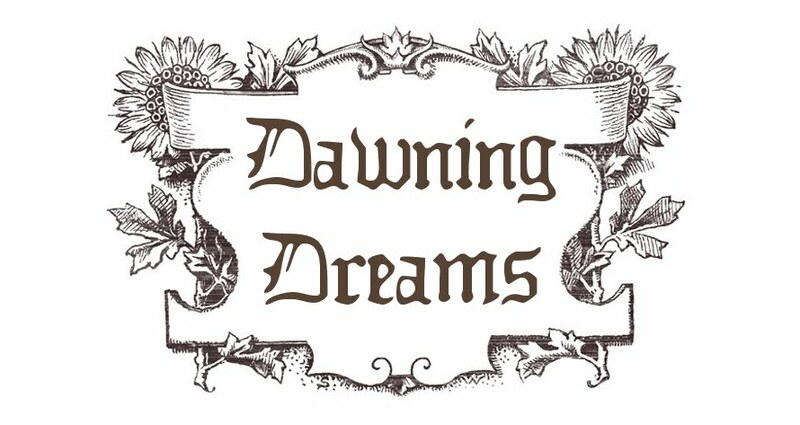 A larger video can be found on my YouTube at http://www.youtube.com/user/DawningDreams. thanks for the video! there seems to be so little information out there on corespinning. I'm still a little intimidated by it but I try it now and again. I noticed your core thread is already spun.. was that just for the video so you wouldn't have to spin at the same time, or is that how you always do it? oh sorry, i think i was vague there! i mean there is already twist in your core.. like you already spun some major kink into it. so far i have just spun it as i go.. i didn't see your foot pumping at all so i was just wondering! Oh, I see. I was pedaling while I was wrapping. I just wasn't pedaling much, and you can't really see it in the video. I spin it as I go as well. so, are you adding or taking away twist from the core? and where do you get commercial cotton boucle? You can get boucle yarn a lot of places. I picked up a whole bunch at an estate sale. They have it at Halcon yarns online. As for the spinning part, I'm adding the twist to the core, which makes the wool wrap around it. At the same time. I have the core on a drop spindle to keep the core from kinking up on itself since I tend to over spin. The drop spindle twirls around taking away any extra. Thank you so much for the video!!! I have tried corespinning before on a drop spindle, but I tried to draft the wrapping fiber with one hand. Now I see that two hands works much better, and that has helped a lot.